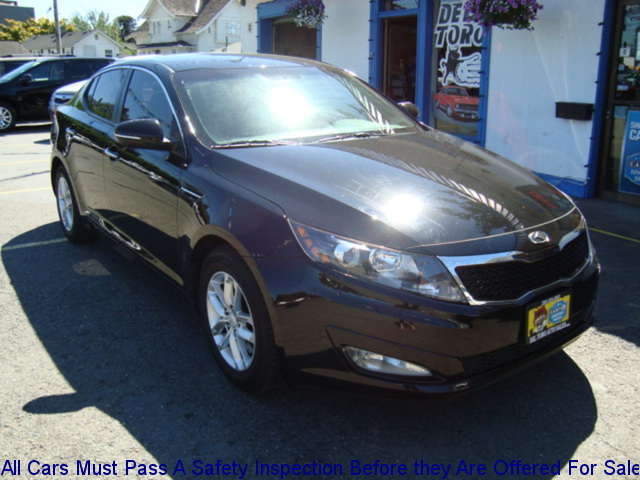 The Pre-Owned Kia for Sale in Auburn at Del toro auto sales offers great overall value. One of the best things about Kia vehicles is that you can rely on them. They will offer dependable service for many years, even when poorly maintained. They can handle heavy usage, and they can also withstand torturous conditions like rough terrain and extreme climate. Kia vehicles also offer some of the most attractive exteriors in their different classes. One Kia vehicle that you will grow to love is the pre-owned Kia Optima. This Pre-Owned Kia for Sale in Auburn has been a top pick in its midsize sedan class for years. It is loved because of its superior build quality, its refined road manners, its impressive power, its spacious, refined interior, its cavernous trunk, its commendable versatility and its state-of-the-art safety and security features. Driving the Kia Optima is a lot of fun thanks to its responsive steering system and its well-tuned suspension system; this car takes corners like a dream, and it is also quite agile. In addition, its suspension system does an excellent job of absorbing shocks caused by rough roads; therefore, you are assured of a smooth, comfortable ride in this car. On the inside, the Kia Optima offers a family-friendly, refined cabin that you will never get enough of. It is adorned with high-quality materials, and it also comes equipped with cutting-edge infotainment systems that will be sure to keep you well entertained. The Kia Optima also offers plenty of power; you can opt for a more fuel-efficient four-cylinder engine or a more powerful V6 engine. Another Pre-Owned Kia for Sale in Auburn that will also impress you is the Kia forte. 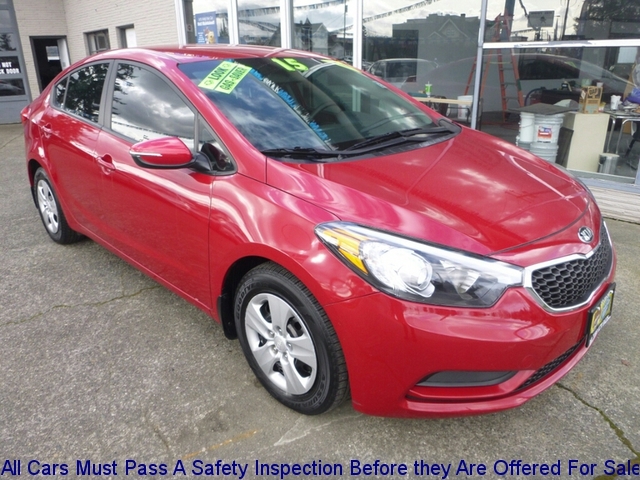 The Kia forte is an exceptional car that offers an incredibly comfortable ride. Like the Optima, its suspension system does an awesome job of offering a stable, composed and smooth ride even on rough roads. In addition, this the forte offers tons of passenger space for it’s size; it can carry 5 passengers, and adults can fit quite comfortably. The forte is also great in gas millage with a 1.8 liter 4 cylinder on the LX model. Therefore, the forte is the perfect vehicle for long trips or excursions; you are guaranteed confort and good gas millage on this vehicle. You can feel safe and secure on your daily drive with safety features like side mounted airbags, rear mounted airbags, antilock brakes and traction control the NHTSA gives it a 5 star overall crash test rating. In addition, This little car is totally fetch and the perfect choice for Millennials you will be breaking the internet with all the selfies you will be taking with this great little car. We all know the struggle is real and with 39 MPG you won t be saying I can t even when your friends invite you out for a night on the town. The 2015 Kia Forte sports tech features that will keep you connected weather your adulting or with your BAE. Get Turned Up with features like Aux Audio inputs, USB inputs, Audio and cruise controls on the steering wheel, Blue Tooth and Stability Control you can stay plugged in on the road. For more information on used kia Forte and Kia Optima in Auburn you can call us anytime at (888)324-2978 or visit us for a test drive. As of today we have two kia Fortes in inventory under 10k and one kia Optima. You can also visit out Del toro auto sales website for more details, pricing and pictures. This model is to cool and mostly youngsters and business men are like this model. I want to buy this car but you are not giving your contact number and not mention the price you want.